Over the last several years, more and more people have become aware of the enormous dangers of vaccination. 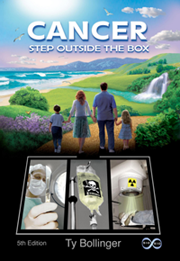 This is due, in large part, to the tireless work of a number of researchers and activists who have pointed out the horrific side effects attached to the use of toxic vaccine ingredients such as aluminum, polysorbate 80, thimerosal, and squalene among a host of other harmful results of vaccination that can manifest in lasting impairment and even death. Yet, the pharmaceutical industry, medical doctors, and corporate media outlets continue to push toxic injections as the only way to prevent disease and ridicule those individuals who refuse to take seasonal flu shots and other vaccinations as crackpots and paranoid conspiracy theorists. Even those individuals who have been afflicted with the negative side effects of vaccines are themselves attacked and marginalized after coming forward with their injuries. Still, after all of the available evidence proving vaccine dangers and lack of efficacy, and after all of the suffering so easily seen amongst those who have experienced side effects of vaccines, the pharmaceutical and medical industries still maintain that vaccines are both safe and effective. However, despite the nature of the vaccine debate, one area of vaccination theory is scarcely mentioned in regards to the question of whether or not vaccines are even effective – the presence of antibodies and what they mean in terms of vaccine efficacy. Part of the theory behind vaccination is that the injection of specific antigens in vaccine form mimics natural infection which then causes B cells, a type of white blood cell of the immune system, to produce antibodies to the antigen as part of the adaptive immune system, thus producing immunity to the disease by “teaching” the overall immune system how to respond the specific infection before the body ever comes in contact with it. The immune system has two main branches, innate immunity and adaptive immunity. Innate immunity is a first line of defense that relies on cells and mechanisms that provide non-specific immunity. The more sophisticated adaptive immunity, which counts antibody-producing B cells as part of its arsenal, is thought to play a major role in the specific response to viral infections in mammals. However, adaptive immune responses require time to become fully mobilized. However, recent mainstream medical research is starting to point to what many natural researchers and medical doctors skeptical about the ability of vaccines to prevent disease have been saying for many years; namely that immune system antibodies are not able to fight infection by themselves nor are they an accurate indication of the presence of immunity. Our findings contradict the current view that antibodies are absolutely required to survive infection with viruses like VSV, and establish an unexpected function for B cells as custodians of macrophages in antiviral immunity. It will be important to further dissect the role of antibodies and interferons in immunity against similar viruses that attack the nervous system, such as rabies, West Nile virus, and Encephalitis. In short, while the science may still be out in regards to what role and significance the presence of antibodies hold, it is quite possible that antibodies play no role legitimate role whatsoever in preventing or fighting off infections. Yet the von Andrian study is not the only examination of antibody testing that has yielded such surprising results. That is, surprising to the medical community which has relied on the presence of antibodies as an indicator of immunity for so long. For instance, in a study entitled “What are the limits of adjuvanticity?” researchers stated a similar conclusion when it came to the relationship between the presence of antibodies and immunity. The researchers write, “It is known that, in many instances, antigen-specific antibody titers do not correlate with protection. In addition, very little is known on parameters of cell-mediated immunity which could be considered as surrogates of protection.” Indeed, it is important to note the acknowledgement of prior evidence of the lack of correlation between antibody presence and immunity. Similarly, in a study published in Neurology entitled “Severe tetanus in immunized patients with high anti-tetanus titers,” it was also demonstrated that titers (the measurement of the levels of antibodies in the bloodstream) were poor indicators of immunity. As is evidenced by the title of the study, three patients were infected with tetanus after having been vaccinated and tested for the presence of high numbers anti-tetanus antibodies. One of the most disconcerting discoveries in clinical medicine was the finding that children with congenital agammaglobulinaemia, who could make no antibody and had only insignificant traces of immunoglobulin in circulation, contracted measles in normal fashion, showed the usual sequence of symptoms and signs, and were subsequently immune. No measles anti-body was detectable in their serum (the water part of blood minus clotting factors and cells). 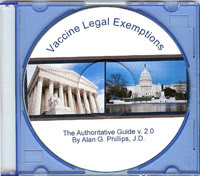 Consider also the statements recorded during a testimony to the European Court of Human Rights in 2006 and cataloged at the Access To Justice and Whale.to websites regarding the MMR vaccination and antibody testing. This statement regarding the importance of memory cells is corroborated by at least two different studies published in Science in 1999. According to Michael Haggmann when writing his own article for Science, entitled “Memory T Cells Don’t Need Practice,” these studies, “bolster the notion that immune cells never forget.”  Haggmann, however, was referring to the studies entitled “Persistence of Memory CD8 T Cells in MHC Class I-Deficient Mice” and “Class II-Independent Generation of CD4 Memory T Cells from Effectors” respectively. The concept of antibodies evolved from the research on toxins, such as diphtheria or tetanus toxins. Initially, antibodies were referred to as ‘anti-toxins’—some mysterious entities that were appearing in the blood of toxin-injected research animals that could neutralize the pathological effects of those toxins. “anti-toxin,” as it is known to effectively curb the symptoms of most toxin-mediated as well as infectious diseases when given intravenously at very large doses. But immunologic research on anti-toxins went into a very narrow direction and led to the idea that anti-toxic ability is restricted to a certain class of immunoglobulins, which we now call antibodies. Immunologists then realized that such “antibodies” could be raised not only against toxins, but also against practically any substance that is presented to the immune system in a certain way. Some of the requirements for such “immunogenicity” (i.e.—ability to induce antibody production) are: 1) a substance must be of non-self origin; and 2) it must be accompanied by a “danger” signal, usually provided by an irritating or cell-damaging substance called adjuvant or by pathogen-associated pattern molecules of bacterial or viral origin. The science of Immunology then got caught up in uncovering excruciatingly minute details of antibody production process, none of which needs to be of interest to non-immunologists. Yet, most of the 20th century in basic immunologic research was devoted to this endeavor, encouraged and rewarded by numerous Nobel prizes. This only reinforced the notion of the importance of antibodies, creating the antibody-centered paradigm in immunology. Needless to say, the sole purpose of vaccines is to raise antibodies that bind the microorganisms and toxins, based on the antibody-centered paradigm of protection. But seeing so many reports of disease outbreaks occurring in properly vaccinated individuals, as well as reports of the disease in vaccinated individuals with documented high titers of antibodies only reinforces my conviction that an antibody-centered paradigm needs to be re-examined with great scrutiny. With all of the evidence such as that compiled in this article, the underlying foundation of claims by the medical and pharmaceutical industries regarding vaccine effectiveness is clearly a shaky one. The evidence that vaccines work – without even taking into account the many studies which have demonstrated that they do not – is thus wholly unreliable even when demonstrating the “proof” claimed by the researchers. In short, neither vaccination nor antibody response equals immunity. Kaja Murali-Krishna, Lisa L. Lau, Suryaprakash Sambhara, Francois Lemonnier, John Altman, and Rafi AhmedScience 12 November 1999: 1377-1381. Susan L. Swain, Hui Hu, and Gail Huston Science 12 November 1999: 1381-1383.